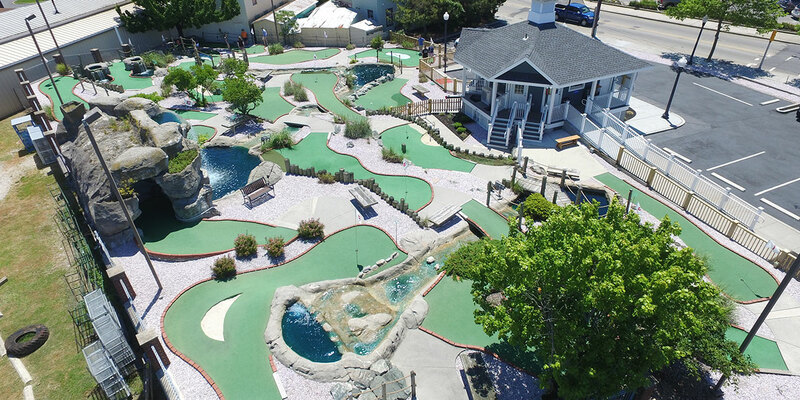 Cape May Mini Golf Hours: 10am–10:30pm (last groups taken in) | Monday–Sunday (7 days a week) Save up to $5! Monday–Sunday (7 days a week) Save up to $5! 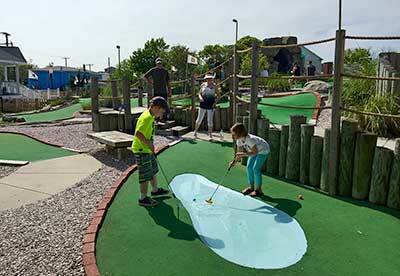 Nothing screams summer as much as flip-flops, beach cruisers, warm weather, sandy feet and—of course—miniature golf! 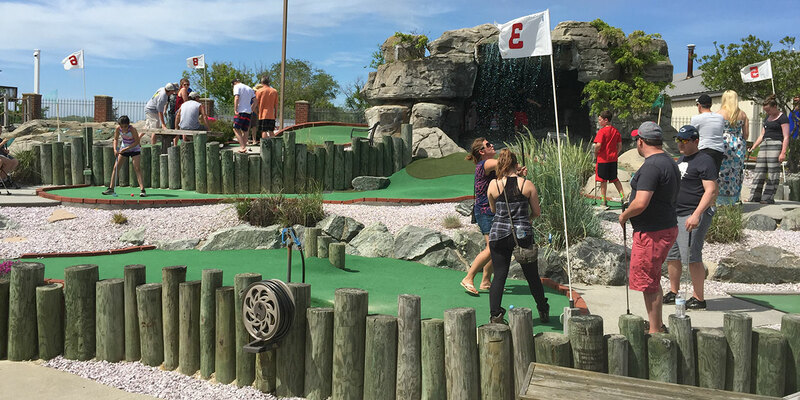 If your family wants the ultimate in mini golf here in Cape May, Cape May Miniature Golf is the place you must check out. 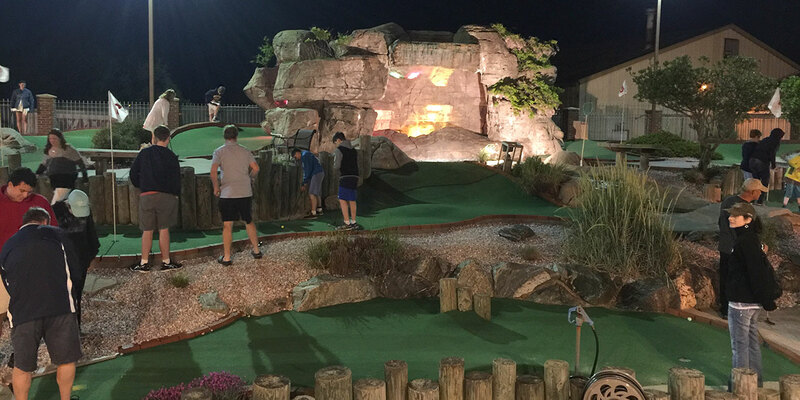 Eighteen beautifully sculpted greens complete with an 18-foot-tall play-through cave with waterfall, lush landscaping, cleverly positioned water hazards, and creative obstacles! 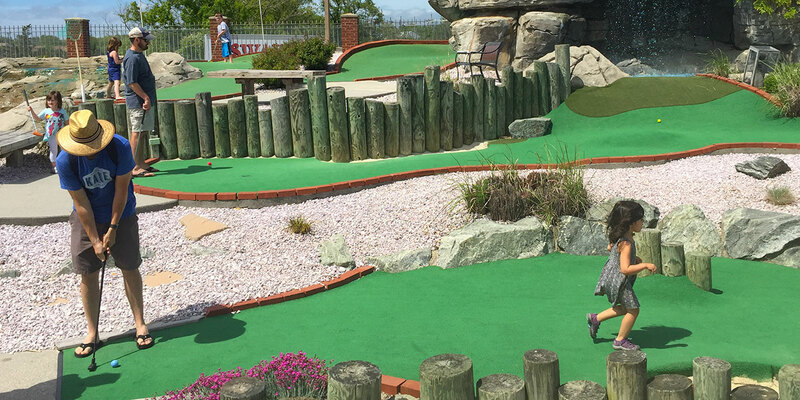 Our course is the real deal, only scaled down, so every age can enjoy the fun. 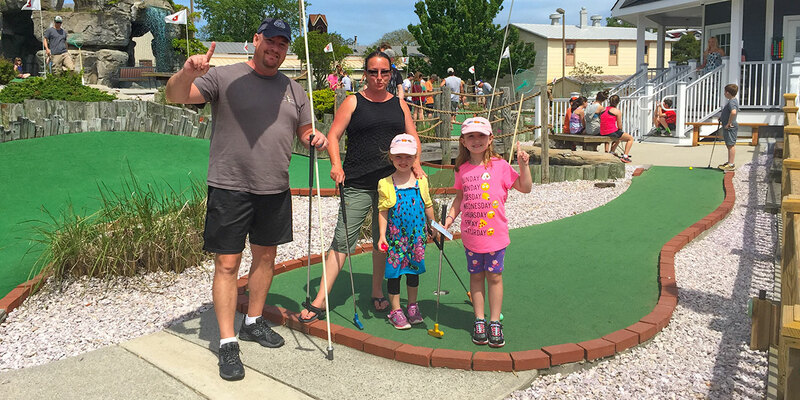 It's easy to see why Cape May Miniature Golf has become an annual family tradition for over 20 years in our picturesque town. 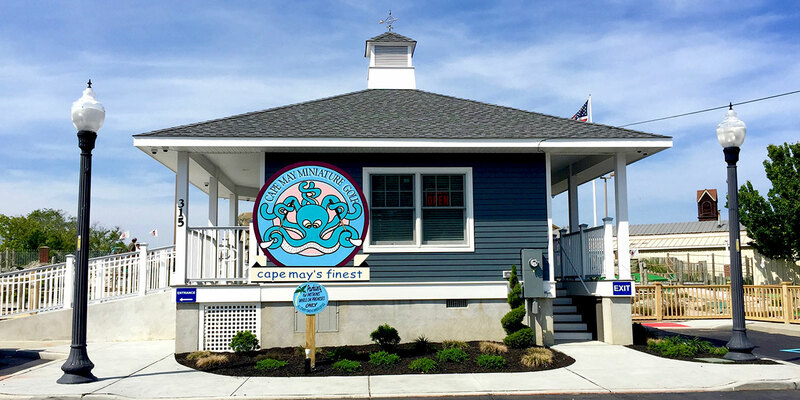 Longest hole in Cape May, at over 38 feet! 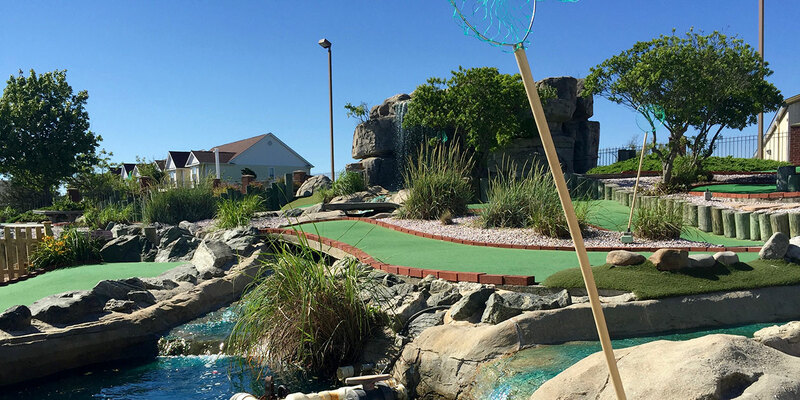 Four waterfalls and three streams with several spots that need to be played just right or your ball goes downstream! We provide nets along the course so you can fish out your custom floating golf ball. The kids love it.